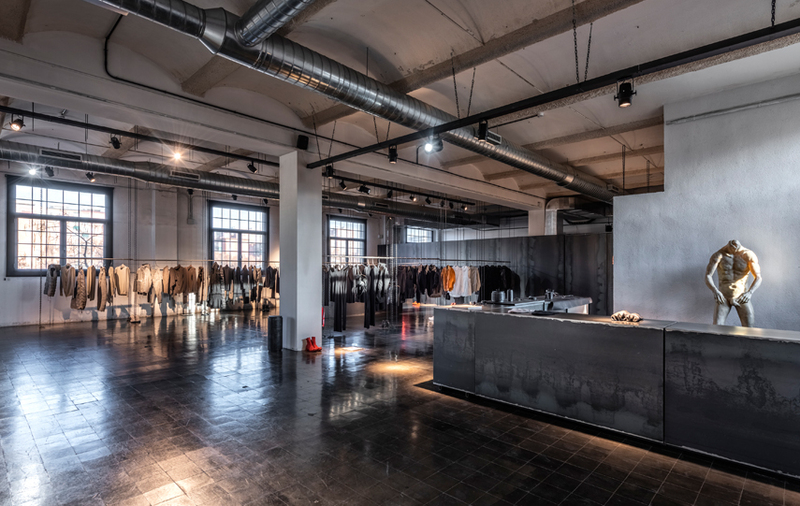 Located in the industrial district of Poblenou, the atelier stand for the geographical exemplification of a secular spirituality. Endowed with an unmistakably style, it is one of the most exceptional and emblematic ateliers in Europe. 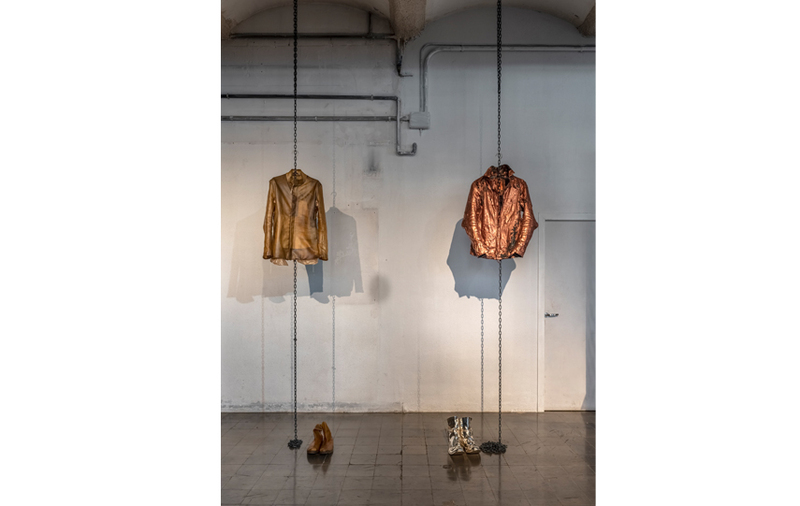 Colossal windows allow the daylight to come in, and make you discover the exceptional space: gigantic steel walls and tiled flooring, garments suspended from chains that loop through steel tubes, stone tables and accessories placed as works of art, all of it accurately reflecting Saberi’s experimental nature. 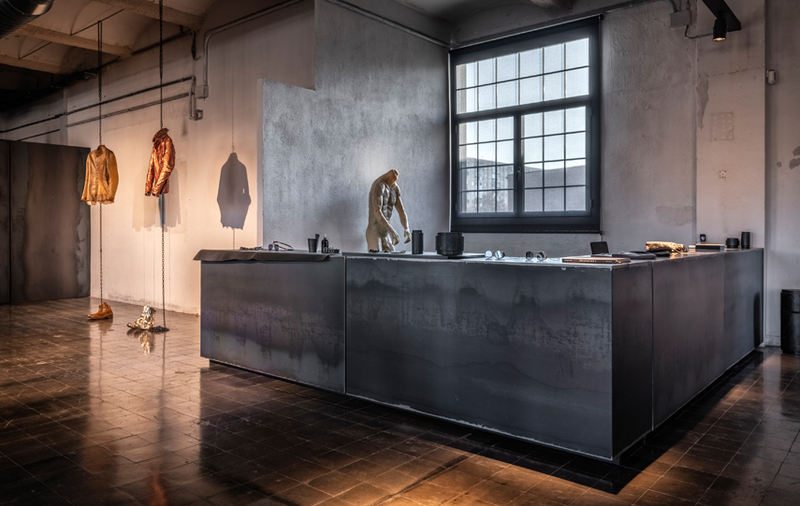 In this industrial paradise, Saberi develops the outlines of his alchemist laboratory for contemporary investigations. 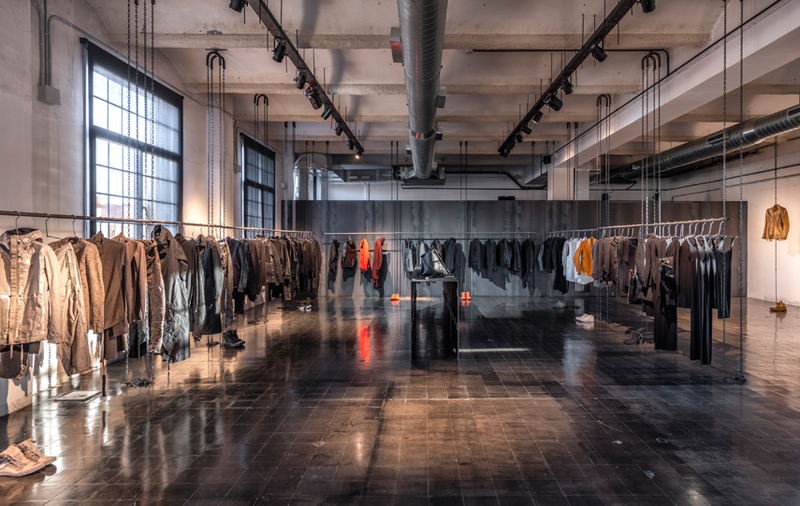 Boris Bidjan Saberi is a half Irish-German, half Russian-Persian menswear designer who matures a peculiar clothing language through his innate heritage between European and Middle-Eastern culture. 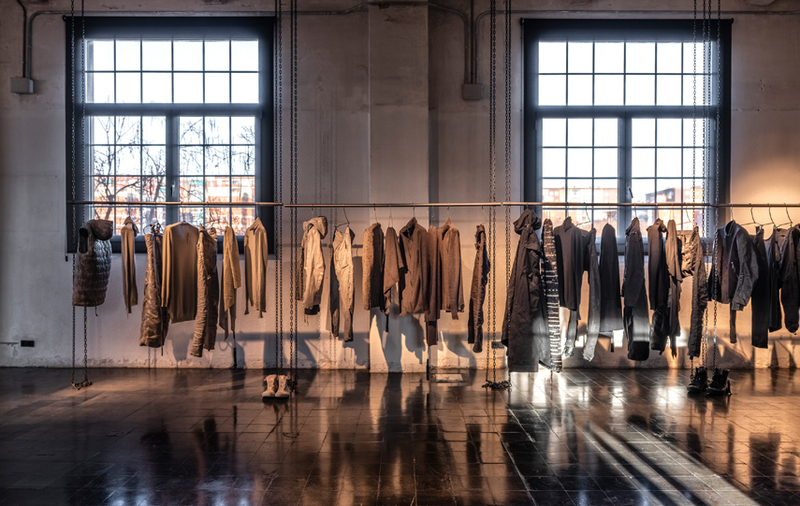 Raw materials and accurate tailoring fuse together into formless garments, which pay a distinctive attention for functional qualities whilst maintaining a strong connection to urban roots. Boris Bidjan Saberi presents every season his collections in the official Paris Fashion Week calendar. “No piece of Saberi is identical to the other and the series he produces are so limited that in this nature are more exclusive than any limited edition”. – Paolo Ferrarini.